The World of Botanicals is vast. Starting from a wide range of application through teas, tinctures, poultices, essential oils, and the aromatic waters, coming from the distillation of the plant. The plant kingdom has always been with us, serving our every need. The Ancients knew that plants, very well, and they worked with them in a holistic, shamanic way. In today's world, we have distanced ourselves so far from nature, yet so much of our medicine is derived from the plant world, yet, the components are isolated and reformed into patented products..that unfortunately have side effects, from mild to serious, and even fatal. The current reported annual death from prescribed medications is over 250,000. In the 25 years that I have been practicing and learning, I've seen the simple, yet powerful effect that using the essential oils and plant medicine, properly on a mundane, yet regular daily basis, is merely a part of our daily practice of bringing balance into our lives. 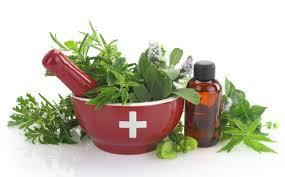 Just as food nourishes our body, so can plant medicine be used as food for the skin, health for the body. As an educator and product formulator and clinician, I take the cautious approach to always bring balance to the person in mind, body, and emotions. The essential oils are very powerful -- and thus we use small amounts, never directly to the skin, and usually in combination with a balance of helpful "carrier" oils (generally cold press vegetable/herbal oils - not concentrated like the essential oils). Dilution and Dosage are critical, as the application is strong. A little goes a long way. In our world today, we tend to think that something is good, we should use more of it. And next, we find people drinking the oils! Alas! Due to the concentrated effect of these concentrated oils from our plants.. they are often too strong, and then we combine the complexity of any medications that might be taken... and we then have a problem. Unfortunately, in the case of herbs and essential oils... the negative effects can range from immediate to undetected for years. And most especially on our little ones -- who need only the smallest dilution or even just teas or the flower waters we call hydrosols are usually sufficient. Aromatherapy and the medicinal use of essential oils obtained from plant material has been around since the beginning of time. In the late 1800s and early 1900s, chemists used essential oils to establish the molecular structure in nature. Many received Nobel Prizes for their work. Each oil is a vibrational hologram, contributing to the health and well being of each person in its own right. When blended with other oils, new oil is created vibrationally to resonate specifically for that individual. Ancient wisdom and use of plants and their gifts have upheld humanity in their path of life through the ages. In today's world, there is a calling for a return to the natural world and self-nurturing. The relationship between aromatic plants, herbs, extracts, and essential oils enhances our relationship with ourselves, our dreams and our community. We teach Aromatherapy courses in order to help people live more consciously, by using the profound holistic nature of essential oils as the core catalyst to inspire change. We provide a heart-centered philosophical framework to guide teachers, students and laypeople to live healthier and inspired botanical lives, through the awareness and conscious use of our beautiful plant kingdom. We begin by redefining what it means to be healthy from a full body standpoint .... a new framework. * Hippocratic Oath: First, do no harm. * Blending -- how creating a synergy and working with the changing terrain to maximize the healing effect. Join our community of a progressive and inspired new generation of aromatherapists. We have live events and COMING SOON -- online courses to inspire your everyday practice. Check our events calendar often as we are constantly adding new classes and events. After 25 years of training, clinical practice, and product formulation, I bring a plethora of information and experience to the table. I am not associated with a particular company, and I am happy to teach all, from direct sales reps, laypeople, teachers, nurses, and other clinicians. Contact the office for more information. 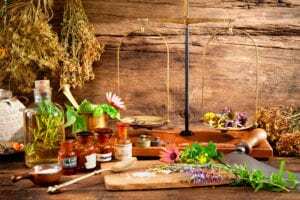 I also offer private consultation to address your personal questions on the use and benefits of essential oils/plant medicine, as well as assist you in creating your own personal blends. To book a private consultation - click here. If you are interested in holding a group class, please contact the office for information. Stay tuned for more public classes coming in 2019! We specialize not only in procuring excellent quality essential oils but also doing beautiful and affected blends that can be used in your health and well-being program. In my 20 years of working with the oils — there is no doubt in my mind of the efficacy that these precious little oils add to a health program. I’m pleased to offer such powerful, pure oils to the community, and look forward to serving your specific need. If you need specific assistance, please do not hesitate to call me, and I can answer your questions. Remember — your health is your Wealth. Patricia is also available for teaching engagements and corporate wellness. Please contact the office for more information.